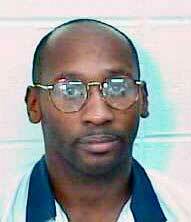 2008/10/22: Act NOW to STOP THE EXECUTION OF TROY DAVIS! TELL THE GEORGIA GOV., LEGISLATURE, PARDONS AND PAROLE BOARD, BUSH, OBAMA, MCCAIN, CONGRESS AND THE MEDIA: STOP THE EXECUTION OF TROY DAVIS! Please join the online campaign to STOP THE EXECUTION! FREE TROY DAVIS NOW! YOUR EMERGENCY ACTION IS NEEDED NOW! Click HERE to Fill in Online Form. 2008/10/20: Please write to your Senators and Representatives and ask them to support indigenous rights in Colombia and to oppose the FTA. On October 17, CSN received and urgent message from our Movimiento Campesino Cajibio Sister Community, asking us to speak out against the Uribe Government's violent supression of indigenous marches that started in Cauca Department but also were coordinated with indigenous communities in Choco, Caldas, Guajira, Huila,Casanare, Meta, Norte de Santander that now not only grow all over the country, but are joined by peasant, miners and worker's unions. We propose a new path for the people for a new country. 2008/10/10: WNPJ Member group of the Week - WI Impeachment & their recommendation of "The 35 Articles of Impeachment"